Both carbon and silicon are group IV members, but carbon has the smaller atomic number. Diamond, with the same crystalline structure as that of silicon, is expected to act as the basic material for the next generation of high-power electronic, optoelectronic, bio/chemical electronic, quantum computing devices, etc. This is because diamond exhibits electrical properties similar to those of silicon, while having superior physical properties. 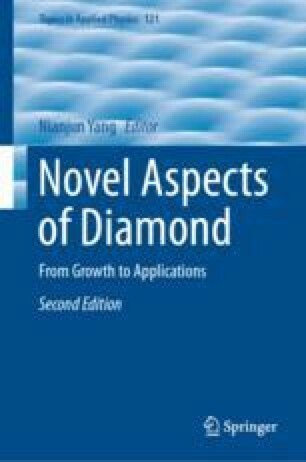 In this chapter, the author reviewed and discussed the homoepitaxial growth of high-quality single-crystal diamond films with atomically flat surfaces, by using plasma-enhanced chemical vapor deposition (PECVD). The author sincerely thanks Dr. Satoshi Yamasaki, Dr. Hideyo Okushi, Dr. Daisuke Takeuchi, Dr. Masahiko Ogura, Dr. Toshiharu Makino, Dr. Hiromitsu Kato, Dr. Hitoshi Umezawa, Dr. Takehide Miyazaki of the National Institute of Advanced Industrial Science and Technology; Dr. Sung-Gi Ri of the National Institute for Materials Science; and Professor Takao Inokuma, Assistant Professor Tsubasa Matsumoto of Kanazawa University for fruitful discussions. This study was partly supported by JSPS KAKENHI Grant Numbers JP24686074, JP 17H02786, JP 17K18980, 18H03870 and the Adaptable and Seamless Technology Transfer Program through target-driven R&D, JST, and Kanazawa University SAKIGAKE Project 2018.